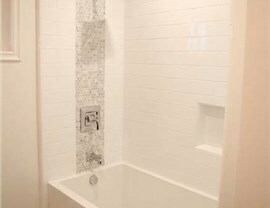 Expert St. Louis Bath Renovators! Making over your bathroom can be a delight with Alenco remodelers around to do the work! 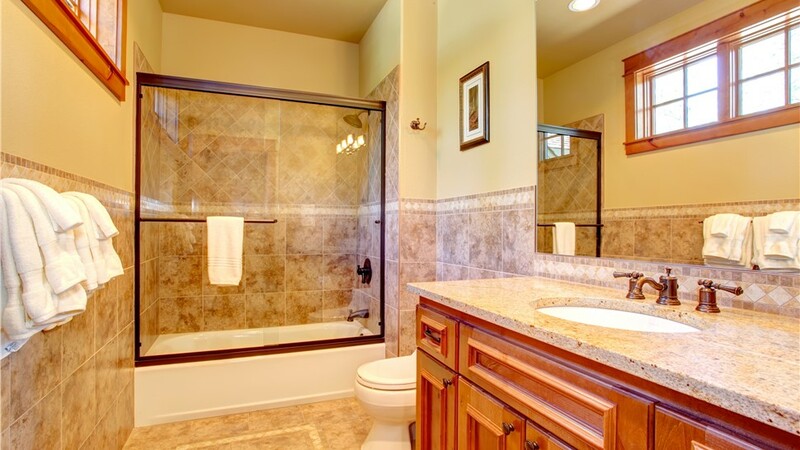 When you need a new look in your bathroom, you deserve the services of a premier St. Louis bathroom remodeler. At Alenco, we give every customer our complete attention no matter the size or scope of their project. 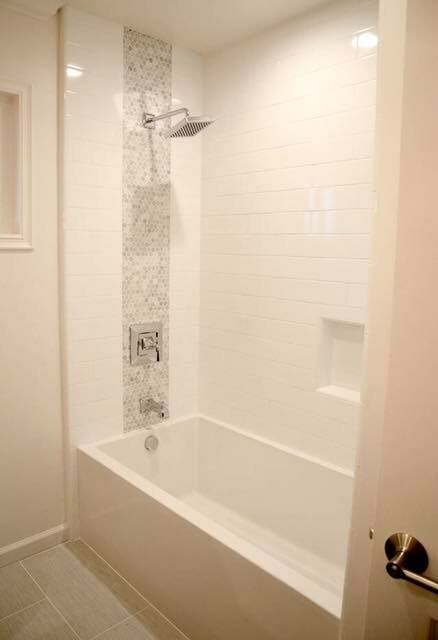 Whether you want a new bathtub or a total bath remodel, we provide a well-trained team of bath installers and durable, attractive fixtures to create that desired look. Our over 30 years of experience in home renovations ensure that we'll help you find the best solution to any bathroom issue. Your bathroom is a space that should be custom fit to your needs. 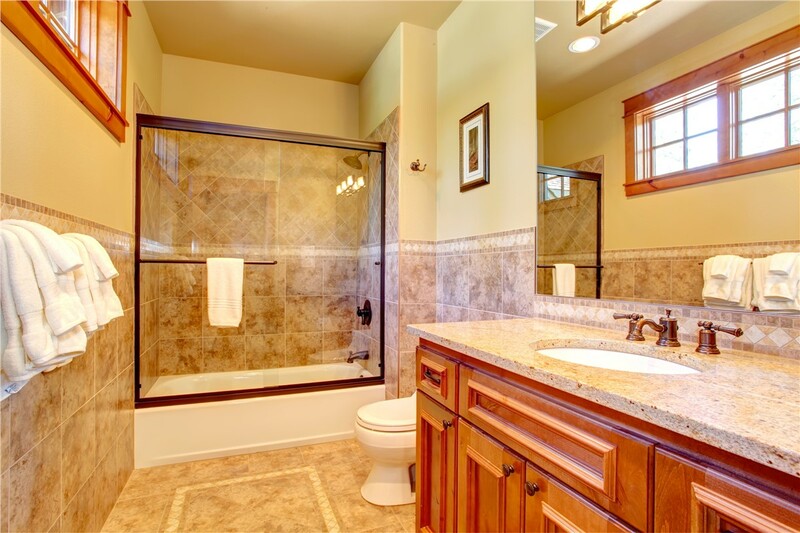 From the best brands to an array of design options, our St. Louis bath remodelers make sure it does. 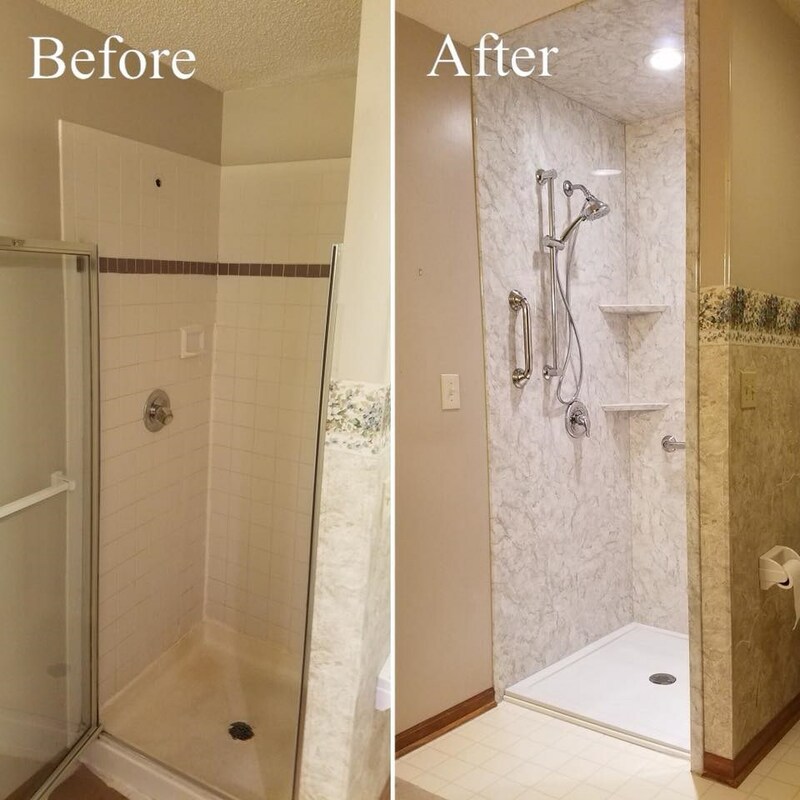 We can help you with almost any change you envision, including a walk-in shower, new wall surround, or complete bathroom remodel. Lovely, quality glass and acrylic fixtures and decor available in several style, color, and design options. Long-lasting, low-maintenance materials that are designed to resist mold and mildew, so you don't have to get out the scrub brush! Fast bathroom remodelers who are in an out of your home without leaving a mess behind for you to clean up. 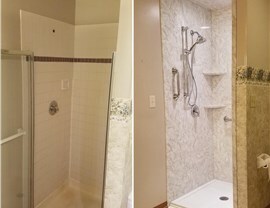 Bathroom Remodelers Who Put the Effort In! Our business cares about the comfort and happiness of your loved ones because we have been a family-owned-and-operated company since we first opened in 1986. 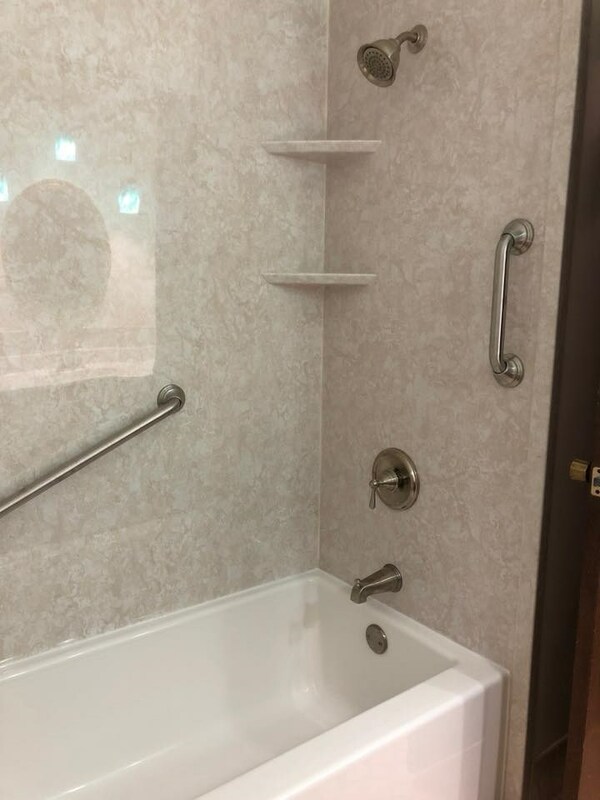 We go the extra distance to ensure customers get better results than they could have dreamed of with their St. Louis bath renovations. Our installers will provide a free, in-home consultation and price quote for any services you want. From walk-in baths to a tub-to-shower conversion, they also help you identify what changes are needed to improve your bathroom's functionality. 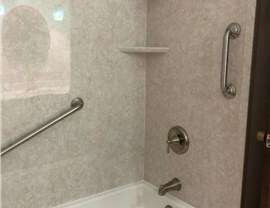 We can create a unique bathroom or just upgrade a few fixtures to improve your use of the space. To find out more about our St. Louis bathroom renovations drop by our 36,000-square-foot Lenexa showroom! You can also get the information you need right now by calling us or filling our our online form!